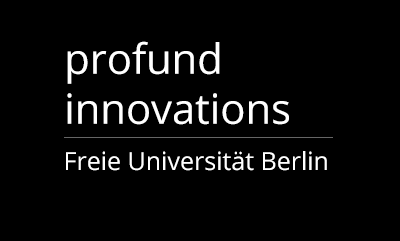 Profund Innovation supports students, scholars, scientists, researchers, and alumni, as well as external start-ups who want to cooperate with scientists of Freie Universität. We started as one of their portfolio startups that received a grant within the Berlin Startup Scholarship. This program supports innovative startups to develop their ideas and start their company, it is supported by the European Union, and the Berliner Senat.